A regulation size golf course is 18 holes and is typically a Par 72. Each 9 holes is usually made up of 2 par 3's, 2 par 5's, and 5 par 4's for a total par of 36. First 9 is known as the front 9 (out). The second 9 is known as the back 9 (in). Yardage will range from 5,000 - 7,000 yards. Hole in One - On a Par 3 to hole out from the tee box in 1 shot. One of the great things about golf is a beginner golfer can play against an advanced golfer by utilizing the golf handicap system developed by the United States Golf Association (USGA). A handicap is a numerical measure of a golfer's potential playing ability based on the tees played for a given golf course. The lower the handicap the better golfer you are, thus known as a single digit handicap (1-9). A pro who typically will shoot even par or better is consider a "scratch" golfer and do not use handicaps when playing in a professional tournament. An easy way to understand what handicap a golfer maybe is to look at their score relative to par. So for example, an 18 handicapper would shoot a score of 90. If you add 18 strokes to a Par 72 course = 90. This would be a rough estimate. To get exact handicap you have to factor in the difficulty of the golf course you are playing by utilizing the slope and course ratings that are assigned to the set of tees you played from. Amateur golfers who want to compete will establish a handicap. Ask your local golf course if they are able to establish a handicap for you, most courses offer this service. There is typically a yearly fee associated with maintaining your handicap, usually ($35-$75). To establish your handicap you will need a minimum of 5 scores and a maximum of 20. The scores, course, and slope ratings of the courses you played get entered into a computer system and viola you are given your handicap index. Here is the formula used: (Score - (minus) Course Rating) X (times) 113 / (divided by) Slope Rating. For example, if you shot an 85, the course rating from the blue tees is 72.2 and a Slope rating of 131. (85 -72.2) = 12.8 x 113 / 131 = 11.04. The number 113 represents an Average difficulty slope rating, as set by the USGA. So if you have a 36 handicap and your golfing buddy is an 18. Your buddy would have to give you 18 shots per round, 1 shot per hole, thus allowing various ability golfers to compete against each other. Most scorecards will have the course and slope ratings listed for each set of tees by for men and women playing from that tee. Each hole is given a handicap (difficulty) from 1-18 as set by the USGA. A 1 handicap hole being the most difficult and the 18 handicap hole easiest, these too are usually printed on the scorecard. 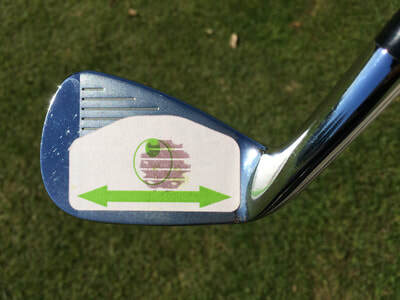 Sand Wedge / SW / S / 56 - This club has 56 degrees of loft and can be used on grass as well as out of the sand. 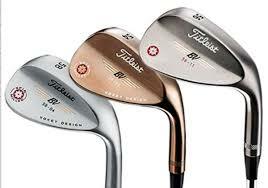 Gap Wedge / GW / G / A (Approach) / D (Dual) / 52 - This club has a loft between 51-54 degrees depending on the manufacture. 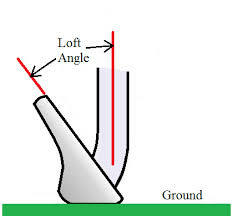 Irons: Things become a little easier here, simply numbered 9,8,7,6,5,4,3 - as the number gets lower the loft decreases. Each manufacture may have a slightly different loft. You can search online for the brand and lofts for a manufacturer. Notice 4 degree difference between each club. This will amount to a 10 yard difference between clubs. 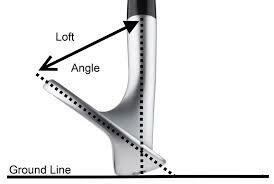 This is assuming you hit the sweet spot on the club face. If you miss the sweet spot you can loose up to 10% of possible distance with that club. Long Iron Replacements known as: Rescue, Hybrid, 4H, 3H. 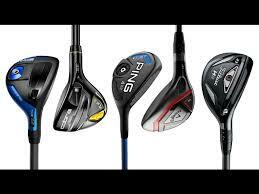 These clubs are used in place of having a 3, 4 iron. 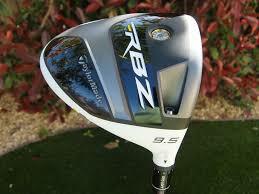 Standard Fairway Woods (metal): 5 wood - 19/20 degrees, 3 wood - 15 degrees. 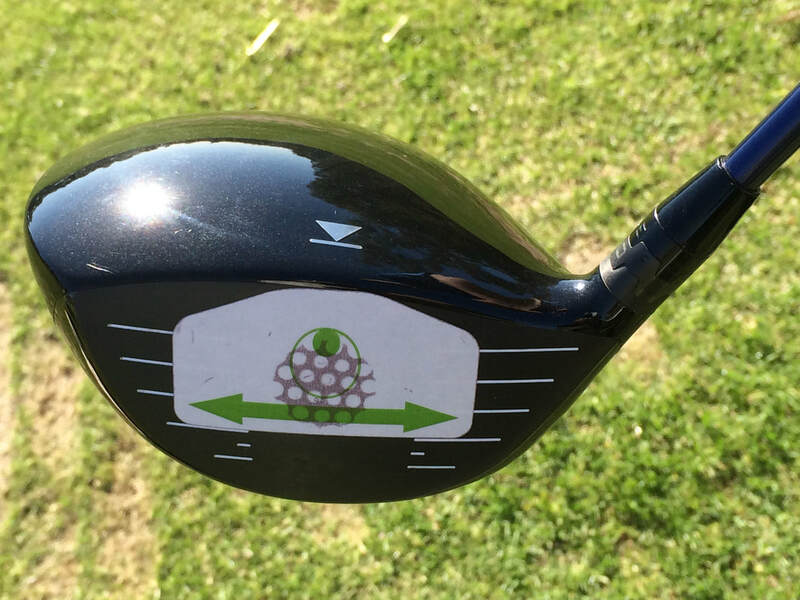 Driver (metal): 1 wood - loft ranges from 8-12 degrees. 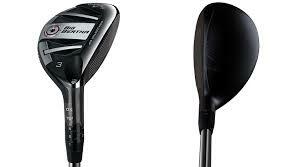 HL - is a high loft driver 13-15 degrees. Here is a list of golf vocabulary you will become familiar with as you play the game. 1. Fat Shot / Chunked Shot- Hit ground too far behind ball. Loose a lot of distance. Ball may or may not go in air. 2. Thin Shot / Skinny Shot- Hit no ground, ball goes in air, but loose a little distance. 3. Topped shot - Hit bottom of club with the top of the ball. The shot will not get in the air. 4. Bladed shot - Hit middle of ball with the leading edge of club. Shot will fly barely off the ground. Most commonly seen when chipping. 5. Solid - Flush - Pure - Great shot in the center of the club face, with a small divot IN FRONT of where the ball was on the ground. 6. Chipping / Bump and Run- A shot played from close to the edge of the green. The ball travels low and has roll. 7. Pitching - A shot played further away from the green when needing to fly over objects such as bunkers, trees, cart path, etc. 8. Bunker - It is the sand traps on the course. There are 2 kinds - Greenside bunkers are next to a green, Fairway bunkers are located in the fairway. 9. Putting - This is what we do on the green. Use our putting, a flat face club to roll ball on the putting green. 10. Tee Time - This is your starting time to play your round. Usually there are 4 people assigned to a tee time, the course has tee times usually every 7-9 minutes. I.e 7:00am,7:07,7:14,7:21. Private clubs often have 10 minute intervals between tee times. For a Four-some to complete play of a hole It should take no more than 15 minutes. To play 18 holes it would take between 4 hours and 15 minutes to 4 and half hours. 11. Shotgun Start - This is when all players in a tournament start at the same time. Each 4 some is assigned a hole to begin on, you can have up to 144 players for a full shotgun, 2 groups of 4 players on each hole. This way everyone will start and finish at the same time. 12. Scramble Format- There is one score for a team of 4 players. Each player tees off and then you all hit from the best shot, continue this until the ball is holed for a single score on the hole. This format is used a lot in fun or charity tournaments. 13. Best Ball Format - This is a format used in tournaments when you would take the best score of the 4 players on a team, sometimes they will take the 2 best scores of the 4 on the team. Each player has to play their own ball and get a score for each hole. 14. Four-some - This is 4 golfers playing as a group at same tee time. Sometimes 2 people will join 2 others (Two-some) to make a four-some. 15. Two-some - This is 2 golfers playing as a group at same tee time. 16. Match Play - This is a format which you play against a person and the score is kept by who won the hole. For instance, if on the first hole I made a 3 and my opponent made a 5, I am one up in the match. You only count holes won, not strokes. 17. Up and Down - This is when you have missed the green and hit a short game shot onto green and then make the putt. Total of 2 shots, up and down. Usually used when a par is saved after missing the green in regulation. 18. GIR - Green in Regulation - To hit a green in regulation (GIR) you would be on the green with 2 strokes left to use to make your par. So for example on a Par 5 you would be on the green in 3, on a Par 3 you would be on in 1. These fundamentals are important to allow the club to swing and your body to move properly. Incorrect placement of your hands, grip pressure, poor alignment, or not proper posture will lead to swing faults. These areas will always need your attention to ensure positions are correct. It's easy to get off track! Using a mirror at home is a great way to check your posture. On the range use alignment rods on the ground to verify your alignment is correct. Do 5 minutes a day of only grip placement and tension awareness holding the club. Aim- Feet, Knees, Hips, and Shoulders are parallel to the target line, use aiming lines on clubface - square pointing down target line with leading edge of clubface. Use an intermediate target (a few feet in front of ball) to aim down an imaginary line to target. Use alignment rods when practicing to check your aim. Tour pros always practice their alignment. Setup/Posture- Tilt hip bones downward to point toward ground, feet shoulder width apart, athletic balance, slight knee flex, arms hang down soft not firm. If your hamstrings or hip flexors are tight it will make getting into a proper posture more difficult. Stretching Exercises may help you achieve better posture.